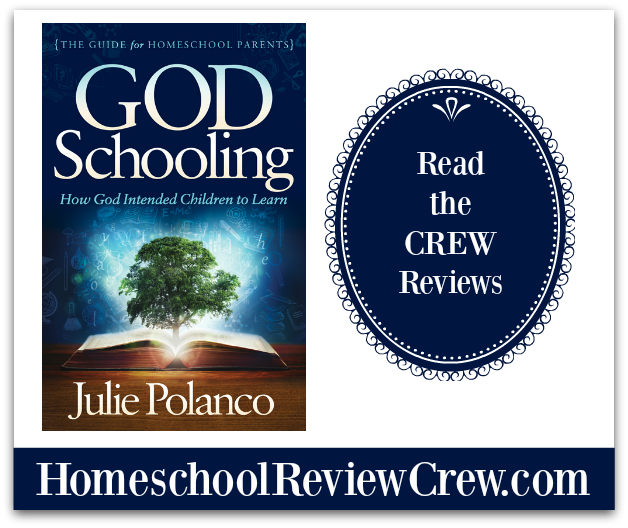 I was recently provided with a copy of God Schooling: How God Intended Children to Learn, the latest book by Julie Polanco. Unlike many of the items I review, this one is for me to read as a homeschooling (grand)mom so I had to be sure to carve out some reading time for myself (as many of you understand, not an easy thing to do). I found myself journaling in my Bible as I read the passages Julie had referenced in her book on my Kindle. It’s super easy for we homeschool moms to fill all of our reading time with books about curriculum and child development by experts in the field and ignore what we see in our children. What are the latest trends in learning? Is this the direction we should go with our child (or in my case, grandchild)? But what does this mean? How could the curriculum become our religion? Perhaps another way of saying this would be a warning not to allow following a curriculum to a T to become the law in your home. Here’s an example that might help you understand what I’m getting at. I heard of a family who was traveling but had chosen to follow the provincial curriculum to the letter. They followed the schedule as laid out and on the day they arrived at Mount Rushmore in their motorhome, the children had not yet finished an assignment that was due. Concerned that they best not turn in their papers late, the family stayed in their RV doing this schoolwork before entering this amazing monument thus reducing the time spent there. They got their assignment done but at what cost? I remember falling into this trap when we first began our homeschooling journey. Thinking we had to complete every activity and assignment as presented or we had failed somehow. Reading Julie’s words about a more natural kind of learning calmed my fears that as we move more in that direction we might be missing something. 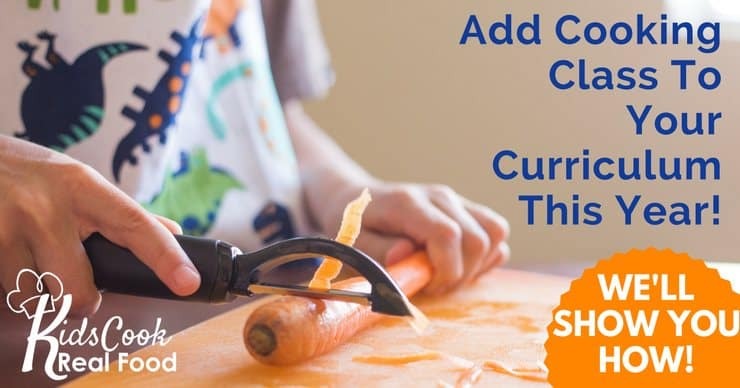 She provides wonderful examples of how her children learn in their own ways, developing skills at different ages and stages, and how she learned to adapt her teaching style over time. I wish I had read her books sooner, it would have saved me a lot of stress and grief. Julie’s speaks of internal and external motivation and you hear that little voice in your head says, “yes, this makes sense.” Each child is different and has their own personality type so of course, it goes that they will be motivated in different ways. Even before they are old enough to really have a learning style we all see differences in our toddlers and their behavior. They are eager to learn, each in their own way and this book helps us understand how to do just that. A homeschooling mother to four children, Ms. Polanco has done a lot of research into how children learn and woven these with Bible references throughout her latest volume. She stresses the importance of teaching by example, as Jesus taught his disciples. 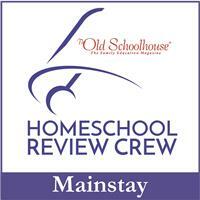 This should be freeing rather than feeling like we are slaves to our homeschooling endeavors. As I read deeper into her book, I found myself realizing just how much learning we accomplish through everything we do in our lives. It’s no wonder that Ms. Polanco encourages us to live full lives and to play with our children. She explains so well how to help our children learn through experiences. Since reading this book I’ve been trying to pull back a bit and allow EJ to take more of a lead on things so when a heat wave struck and a planned road trip just felt like too much time in a car (who’s air conditioning did not want to keep up with the 100°F + temperatures) and we turned down a road that had signage promising a ferry ride across the river I listened as he watched and explained what the pullies and gears were doing as they moved up and down and side to side (it was just like in his science book he told me). I encouraged him to ask questions of the ferryman (with a few prompts to overcome shyness) and was amazed at how much he was able to remember and explain to his mom when we got home. There is certainly something to this way of learning. There are sections in this book on teaching children under age eight, from eight to twelve, and for teens but you will also find thought-provoking advice on how early to begin the more formal teaching of your pre-school aged children. Do our children really benefit from organized lessons at the age of three or four or will they develop just fine by continuing to learn through play until they are six or even seven years old? EJ likes to poke around at a museum or science center before he settles down to do a Junior Ranger or other type of activity book while other kids prefer to jump right in and get them done. Our girls were all different with our eldest entering pre-school only to tell her daddy and I that the other children were just babies and didn’t know their words. She was just that type of child who gathered words like treasures. She loved to know what they meant and was always asking to learn more. Her sister, on the other hand, was our little artist. She loved to create and still does to this day (she did catch up on her vocabulary by the time she was about eight). Our youngest was the tom-boy and spent her days outdoors (she would arrive home on the school bus and proceed to read her picture book to our milk cow). As Julie says, every child is different. Now all of this may sound very eclectic, relaxed, and possibly a bit unorganized but there are also sections in the book to help us stay organized and keep records. She provides a number of strategies for developing a routine that will help keep your family on track. There are also various suggestions for keeping portfolios, journals, and even a family website. Something to make that end of the year reporting (if required in your district) a lot easier. I’ve begun to keep a journal, even including what the weather is like and what else is going on to help keep us on track. There are study questions at the end of each chapter that will help you dig deeper and better understand your feelings toward a more natural way of homeschooling. She has also provided a ton of resources where you can learn more about the books and studies that she references throughout this volume. I’ve really enjoyed reading God Schooling: How God Intended Children to Learn and I would recommend it to any Christian homeschool mom (or gramma), especially someone looking for encouragement along their journey. To hear from other crew moms please click the image below.